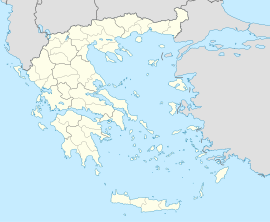 Vrilissia (Greek: Βριλήσσια) is an urbanisit noreastren suburb an a municipality o the North Athens regional unit, in the Attica region. It is locate at the soothwastren accessible fuit o the Penteliko Muntain, that it wis namit efter (the auncient name o the muntain wis Vrilissos (Βριλησσός)). Vrilissia lees athin the Athens basin, that is surroondit bi the Muntains o Penteli, Parnitha, Aigaleo an Imittos. In auncient times, it formit pairt o the Flya Municipality, whilk covered the laund spannin frae Psychiko tae Agia Paraskevi an mainly centred aroond whit is nou kent as the Municipality o Chalandri. Wikimedia Commons haes media relatit tae Vrilissia.